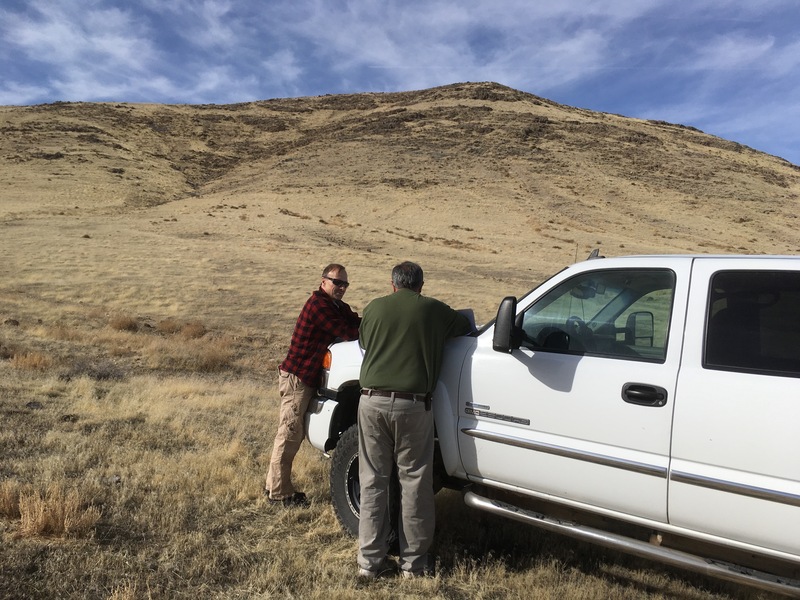 In August 2017, Vior has signed an agreement with a Nevada-based company in which Vior was granted the exclusive mineral rights on the Tonya Property, located 65 kilometers northeast of the town of Lovelock, in Pershing County, Nevada, USA. Vior has also just finalized in early 2018 an agreement to acquire all surface rights on the Property which will allow complete access for all future exploration, drilling and development work. 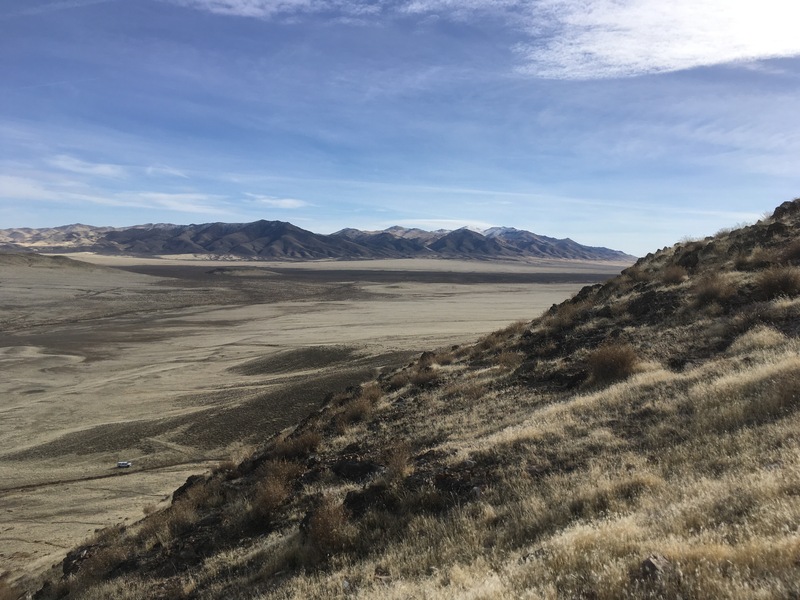 The Tonya Project is comprised of 71 claims for 501 hectares located in western Nevada at the north end of the Humboldt Range. The Humboldt Range hosts the Rye Patch Au-Ag rich trend that contains numerous deposits, mines and prospects. The nearest significant occurrences are the Florida Canyon Mine and the Standard Mine, located respectively at 18 and 25 km southwest of the property, on the west side of the range. The Florida Canyon Mine is an active operation that has produced 2.3 M oz. Au and still contains mineral resources of 1.1 M oz. Au. The geological setting is similar to Tonya with the same rock units and the mineralized zones are interpreted as an epithermal gold deposit. Other outstanding Au-Ag deposits, within a distance of 50 km further to the south, are the Spring Valley Mine (resources of 3.8 M oz. Au), the Coeur Rochester Mine (production of 1.65 M oz. Au and 148 M oz. Ag), the Lincoln Hill Mine (resources of 58,000 oz. Au and 3.1 M oz. Ag), the Wilco Mine (resources of 328,000 oz. Au and 3.1 M oz. Ag) and the Relief Canyon Mine (reserves of 635,000 oz. Au and 1.6 M oz. Ag). The Tonya Project is in the early stages of exploration. Work completed to date includes some outcrop sampling, a local detailed soil survey and limited rotary drilling. 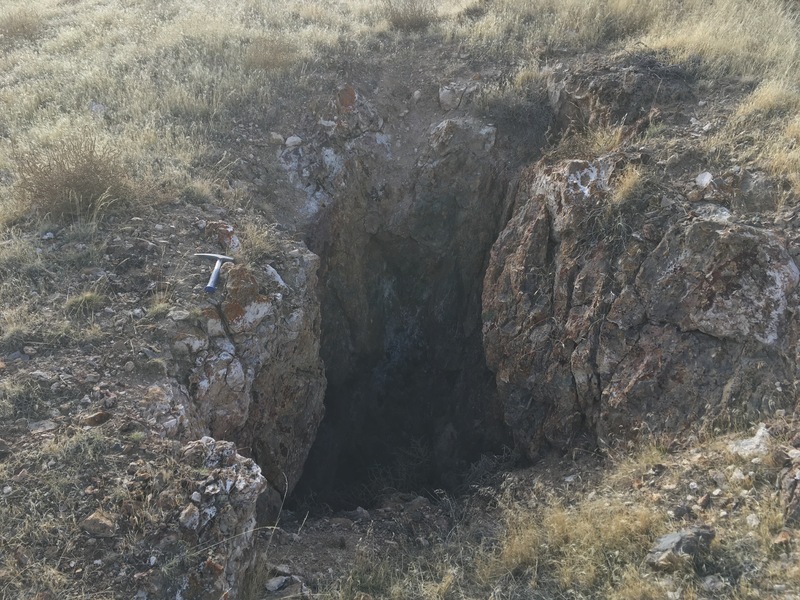 The property has geological similarities to the nearby Florida Canyon and Standard mines, as it is also covered by the limestones of the Natchez Pass Formation and the argillites of the Grass Valley Formation, which host the mineralization in both deposits. The geochemical pathfinders in soils show clustered anomalies in gold, antimony and arsenic. Interpretation of the work to date indicates the Tonya Project represents the upper levels of an epithermal gold system similar to other gold deposits in the Belt. The mapping reported a strong silica alteration (jasperoid textured rock) of the Grass Valley shale horizons in the same area, suggesting that the faulted zoned may have acted as fluid conduits. Reverse circulation (rotary) drill holes located in and around this area returned intersections of 5 to 30 feet of anomalous grade ranging between 110 to 2,590 ppb Au, down to a maximum depth of 170 feet. 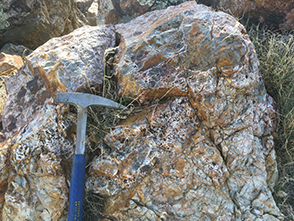 Some of the rotary drilling results suggest the potential for gold values to increase at depth. Chalcopyrite mineralization was also commonly reported in the logs over thicker intervals and over a larger area with sulphide content of 0.5 to 5% occurring in both intermediate intrusion and sedimentary rocks, but no copper assay was done. Modern exploration work has been limited on the Tonya Project due to private ownership. Vior’s plan is to evaluate previous data, conduct mapping, including rock chip sampling and soil analysis with the objective of identifying the best drill targets for its initial drilling program. The exploration program is planned to begin in April 2018.